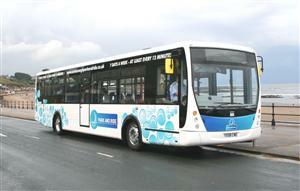 Mr AT of Northants, a visitor to Scarborough, commented on our "exemplary" Scarborough Park & Ride service. He and his family used the Park & Ride during their holiday and found "acres of free parking in a well maintained car park, a clean, light and welcoming waiting area, toilets so clean I'm still speechless, two cleaning staff in attendance who were courteous and helpful, friendly bus drivers and a punctual bus service. I've stopped telling people about the Whitby Abbey and the Magpie Cafe...all I talk about now is the Scarborough Park & Ride!"